Chris, here are some pictures of Maddie-Kate with a McGee engine. which tied her for the points lead in the SEJRA 12.90 index class. 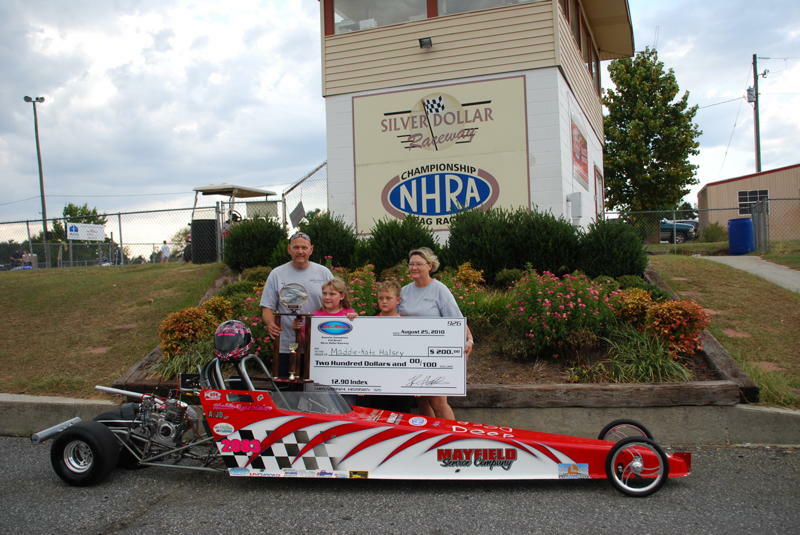 Next she won an Iron Man at an IHRA Pro-Am race at Union, SC. Then she was back to SEJRA in Atlanta, where she was runner up in 8 - 9 year-old bracket race. 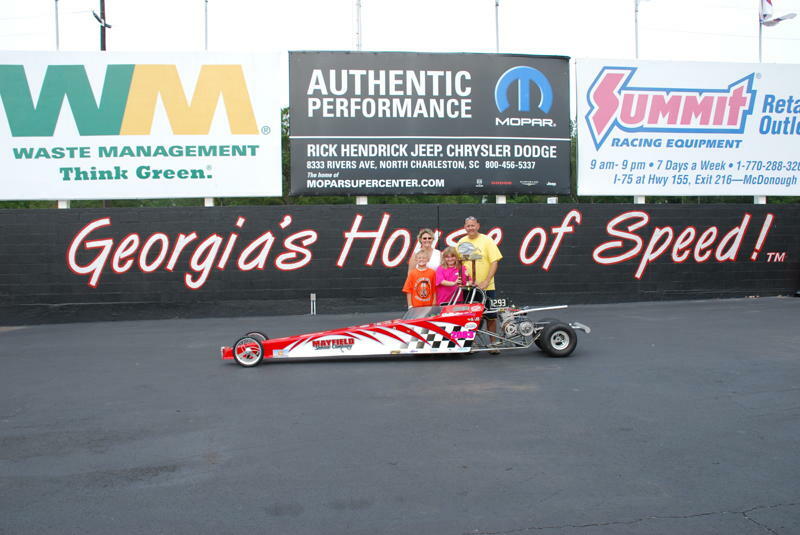 We went to Silver Dollar Dragway in Reynold, GA tied in points in 12.90 index class for the championship. It come down to the two of them in the final. Maddie-Kate won the race & the championship. She also was third in points for the 8-9 year-old bracket race, missing runner up by only 5 points.